Spacious tri-level home with a lot to offer, located in a quiet established neighborhood. This large, split level home has lots of opportunity to make it your dream home. You will love the rocking chair front porch. 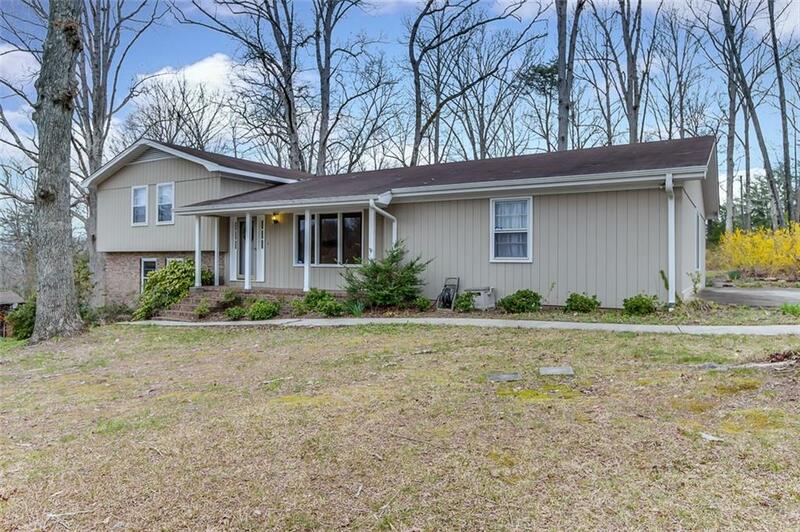 Walk in the front door and you will find 5 bedrooms and 3 full baths 2 half baths. This home also has 2 master suites. One located on the main level and one on the upper level with private balcony. On the main level there is a spacious living room, dining room, an open kitchen with bar, along with a breakfast room. All appliances remain with the home. Downstairs you will love the large den with wood burning fireplace, bedroom and full bath Perfect for in-law/teenager suite or recreation room . Private door leading to the outside. Upstairs you will find 3 bedrooms and 2 baths. Walk out the back door onto a 20 x 16 deck overlooking a large private back yard with mature trees, beautiful blooming plants, firepit area and outbuilding with open shed extension. Perfect proximity to BMW, Michelin and Donaldson Center. Convenient to all restaurants, shopping, Hwy 153, I-85, Easley, Anderson , Greenville and Clemson.